In a widely anticipated move to open its Messenger app to brand communications, Facebook on Tuesday unveiled its "Messenger Platform" and live API tools. Facebook CEO Mark Zuckerberg introduced the technology during his keynote at the company’s annual F8 Conference in San Francisco. The "Messenger Platform," now in beta, expands the pre-existing Messenger app with more capabilities, such as connecting with brands through chatbots — automated, interactive messaging algorithms. According to Zuckerberg, 900 million people are currently active on Facebook Messenger and 60 billion messages are sent daily, potentially giving brands more reach with their advertising. The bots are expected to be conversational as well as functional. "We think you should message a business like you should message a friend," Zuckerberg said. David Marcus, vice president of messaging products at Facebook, filled in details about the Messenger bots, which he said can send and receive informative content, images and interactive calls to action. At the same time, bots should reveal personalities that users can relate to. Brands such as Poncho and CNN already have bots on the Messenger Platform that speak directly to the consumer. "We think that the combination of user interface and conversation is what is going to work," he said. Marcus also introduced discovery tools for Messenger. These include a search option, plugins and a customer-matching feature that will allow brands to connect with consumers using Messenger instead of SMS. There is also an option to include a carousel of products within a bot’s message. In addition, ads appearing on Facebook can direct customers to the brand’s bot. 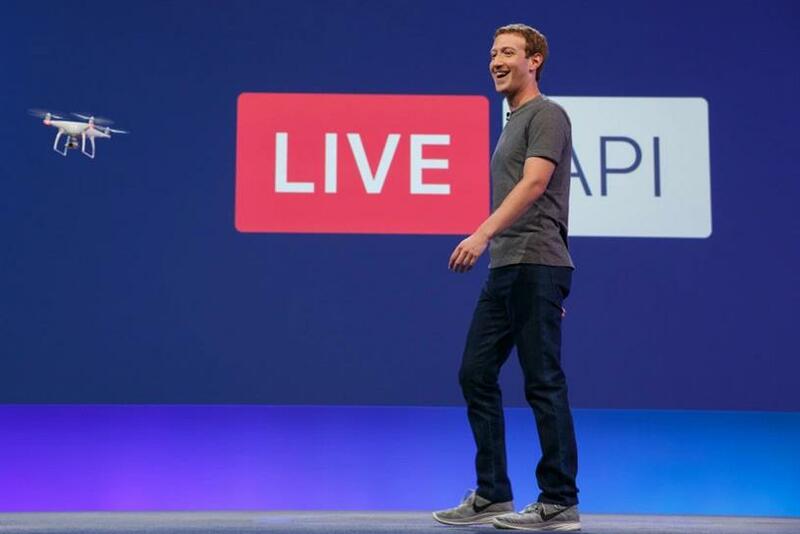 Developers can create their own bots using Facebook’s free API, introduced alongside the Messenger Platform. Within the messaging app, people appear in a row on top, bots in a row underneath, and suggested people in a list below that. The layout looks very similar to Snapchat’s "stories" page that features discover options. Zuckerberg announced developments that could impact the way a brand might advertise on Facebook. These include a new live video tab appearing in the Facebook app; a 360-degree video camera called Facebook Surround; and Mevo, a tiny camera that records live video from any device and streams to Facebook Live. Marketers on Facebook can also expect updates for Facebook Analytics for Apps and a save button that lets users bookmark interesting things from the web. While Zuckerberg hinted at future products like VR touch controllers and augmented reality glasses, he says Facebook is focused on making Messenger the perfect app to share on, adding that he wants to give users "the power to share anything they want with everybody else."